The bad: Inconsistency in his play led to a drop-off in production over his final 19 games, in which he recorded just one assist. “He’s an important player if he’s on his game because he can kill penalties and doesn’t take penalties and can play anywhere in your four lines,” Sutter said. “You can move anywhere you want, but he’s got to be on his game. 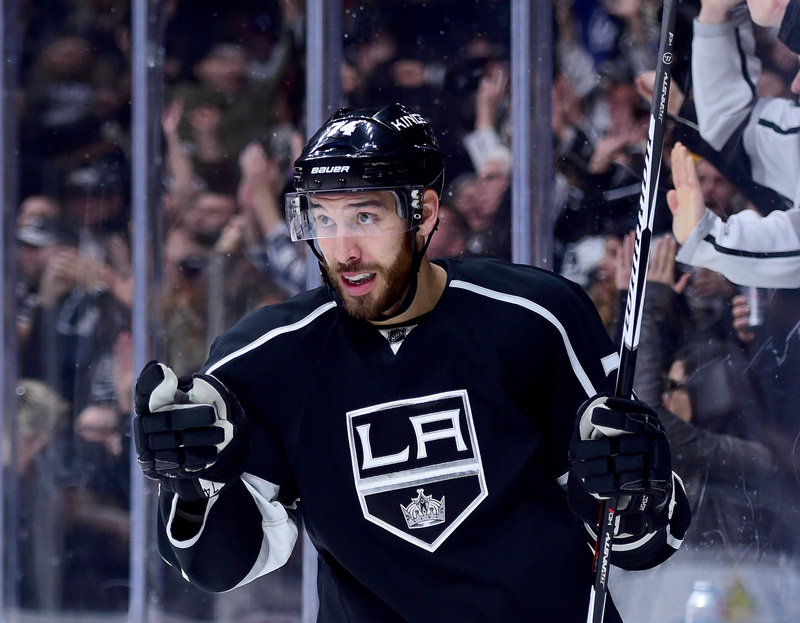 When you’re into the make-the-playoffs-mode, you expect to see that out of players like that, play with some urgency. We talked about it before Kinger came back. Hey, he’s an important player in the scheme just because of quietly his detail in his game. But he’s got to have that detail. 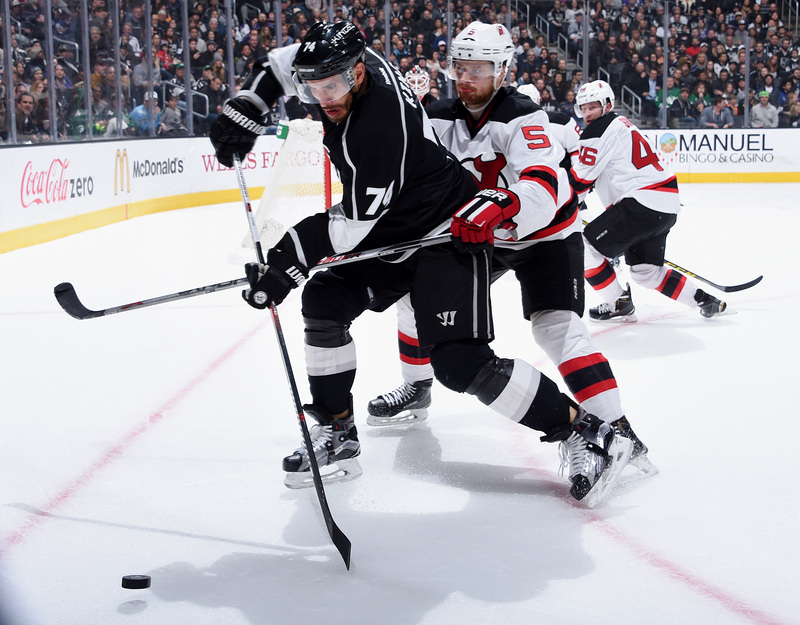 As soon as the detail’s not there, then his game is not on.” That detail appeared to be absent during the season’s twilight, and when he joined Anze Kopitar’s line during the playoffs, his game wasn’t exactly at its seasonal apex. (To be fair, King does have exceptionally strong GF% and CF% career rates alongside Kopitar, so the choice to align the two in the playoffs is understandable.) King doesn’t take many penalties, and he draws even fewer. He drew one penalty in 2015-16, according to Corsica and Behind the Net, and has now drawn 23 total penalties in 285 career games. This is peculiar, because with his size and strength and a tendency earlier in his career to tilt the ice to the offensive zone, more penalties drawn would have been expected; instead, he finished with the lowest Penalties Drawn/60 on the entire team. His 5×5 points per 60 minutes decreased for the second consecutive year, even though he began a higher percentage of shifts in the offensive zone than in any previous season and did not experience any radical change in his competition. Though his 14.3% 5×5 shooting percentage was a career-high – King’s career shooting percentage in all situations is an impressive 11.3% – it was generated on only 48 shots. King’s 4.3 even strength shots on goal per 60 minutes was his lowest career rate other than his 2010-11 cup of coffee, and he failed to register a shot in 16 of his final 36 games. 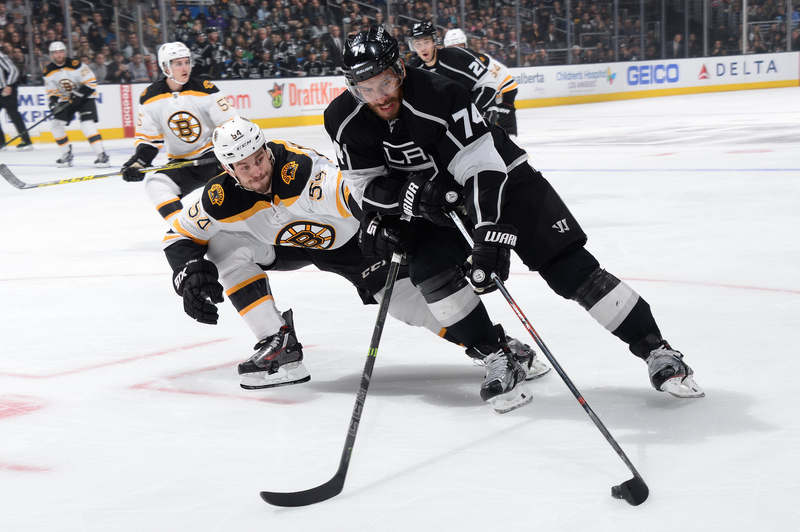 He showed a good battle component in his postseason play, though with one assist in five games it did not transfer into production despite his alignment at times with Kopitar and Gaborik. Going forward: It was a rough season for King, who fostered an encouraging return but was never able to sturdy his game in the limited time available after some of his detail went missing. The hulking winger may have also led the league in blunt force injuries per 60 minutes after taking a puck to the face and having a collection of teeth pushed back or lost shortly after his return. 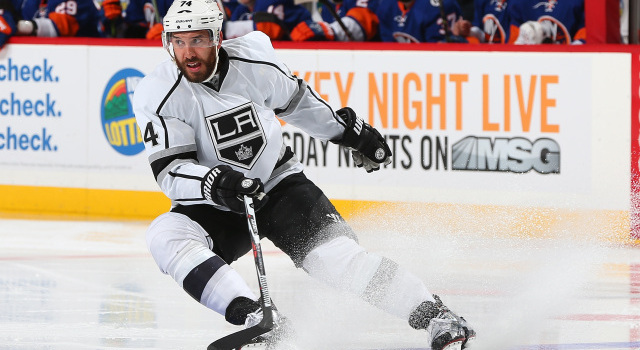 There aren’t ideal circumstances bridging the final two years of King’s three-year contract, and there does appear to be some volatility in how the Kings could choose to proceed. 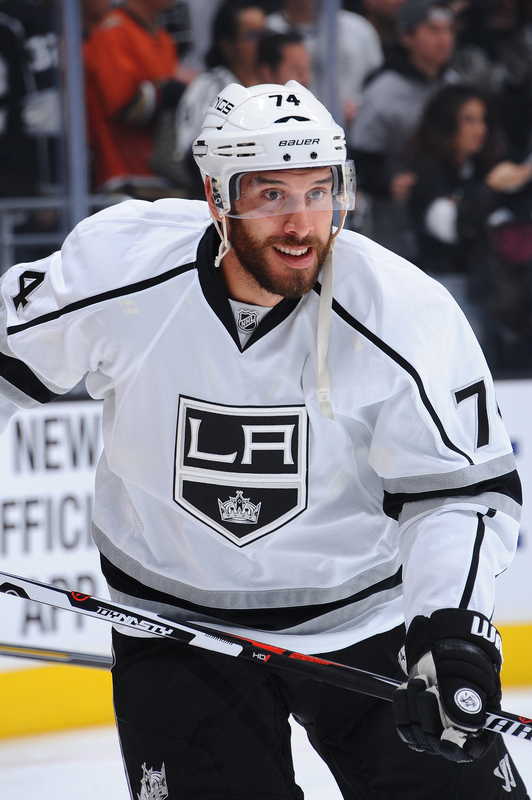 There is no end in sight to Los Angeles’ salary cap constrictions, and because his contract expires in the same off-season as those of Toffoli, Tanner Pearson, Teddy Purcell and Nick Shore, amongst others, there is reasonable uncertainty in King’s future alongside the remaining figures of a group with whom he won a pair of Stanley Cups. There is also the elevation of the potential for a trade of any player bound for unrestricted free agency, though based off correspondence last month, nothing appeared to be solidifying or imminent. (Similar things can also be said about other would-be free agents listed above, and the team is very cognizant of its payroll in years ahead.) The circumstances, though, do seem ripe for a trade, given a $1.95-million cap hit on an expiring contract for a team that has a surplus of contenders for role playing spots and a desire to hand some depth reins off to younger players who could potentially unseat those with greater tenure. It’s going to be an interesting year for the cerebral and unheralded King, who has seen several of his units and rates drop or level off but still offers size, strength, detail and generally strong situational awareness and toughness. Here’s to hoping there are a lot of smiles ahead in the coming year.